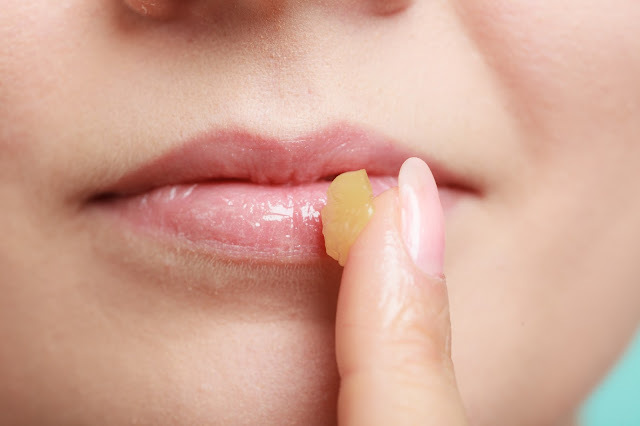 Did you know that you can use cage-free duck fat to make a pretty awesome lip balm? Rendered duck fat is high in fatty acids and will moisturize your lips to keep them smooth and soft. 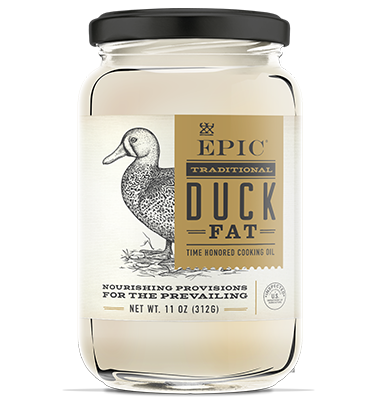 My favorite place to get cage-free duck fat is from Epicbar.com. Their duck fat and pork lard have become my staple cooking oils and end up in a lot of my baked goods and stir fries! Please visit them to find out their philosophy on "nose to tail" and how it produces less waste from the spectacular creatures that feed us! My recipe also contains some Mountain Rose Herbs Calendula Herbal Oil. Calendula oil is one of the most popular and effective topical oils. This oil makes an excellent base for salves, facial creams, and many other natural cosmetics and body care products. Calendula is gentle and cooling, perfect for anyone spending a lot of time outdoors with high exposure to the elements. It makes an excellent baby’s oil and is exceptional for those with sensitive skin. Mountain Rose Herbs small-batch Calendula Herbal Oil is solar infused in a window on site using certified organic Calendula officinalis flowers, organic Olive oil and a touch of Vitamin E oil. You can purchase it HERE. I also added in a bit of steam-distilled sweet orange essential oil from Mountain Rose Herbs. It imparts a very sweet, sugary and citrus aroma to the lip balm. You can purchase it from Mountain Rose Herbs HERE. To extend the freshness of the lip balm and help the oils avoid turning rancid, I added in a dose of Vitamin E Oil from Mountain Rose Herbs. You may find it HERE. This recipe makes enough to fill up eight standard (0.15 ounce) lip balm tubes. Place the beeswax, duck fat and calendula oil into a small pyrex measuring cup and place it in a pot with a few inches of simmering water. Once the fats and beeswax have melted, remove from heat. Add in the Vitamin E oil and Sweet Orange essential oil. Carefully pour into the lip balm tubes. Allow to cool for a few minutes and place the caps on and allow to harden at room temp. For best results, store the unused containers in the fridge for up to six months.